We believe that a couple’s journey towards their wedding day should be a smooth and rewarding one. 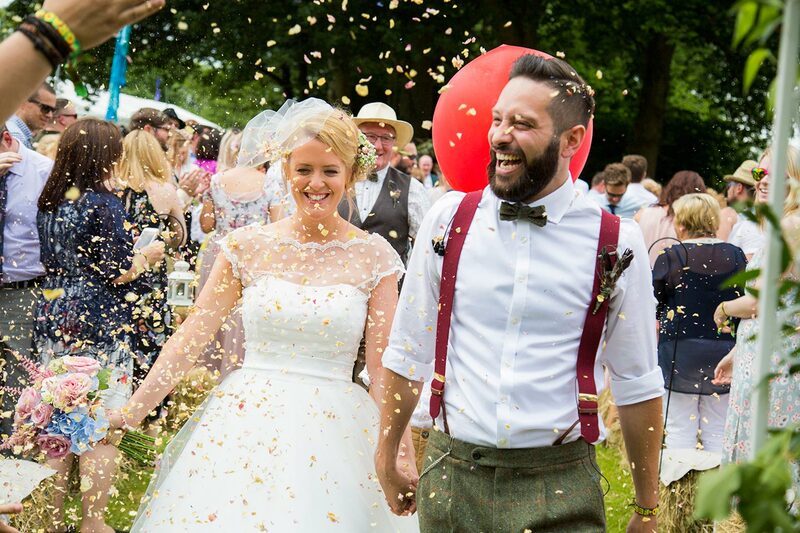 Here at The Wedding Festival Company we take on all the complicated tasks associated with organising large-scale outdoors events leaving you to enjoy the more creative side to planning your dream wedding festival. From sourcing and booking suppliers and entertainment to contract management, logistical and legal planning and budget management our service has no limitations. We simply take your Wedding Festival vision and transform it into a breath-taking reality for you and all your guests to enjoy. New for 2018 is our DIY Festival service. We take on all of the complicated logistical and licensing tasks and deliver to your venue, a ready-to-go festival package. 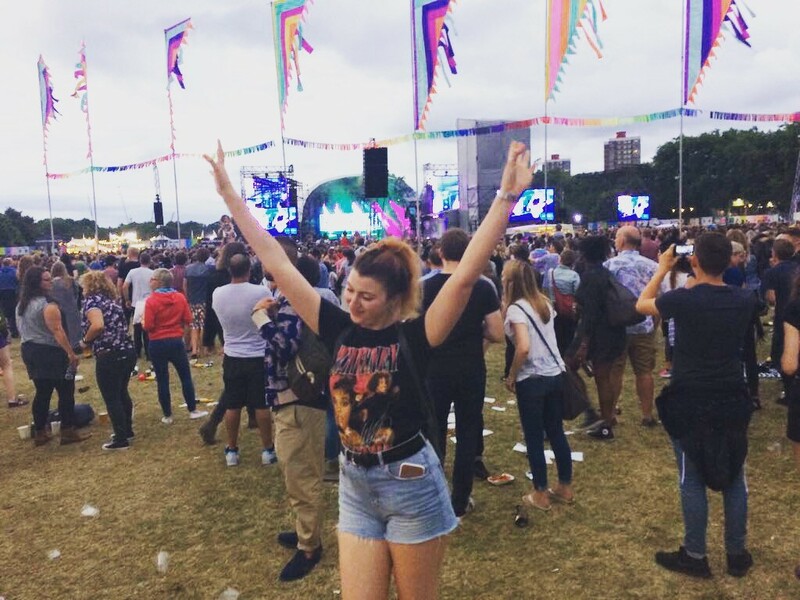 All you need to do is provide some festival helpers to decorate your site and prepare your surroundings for the big day itself. 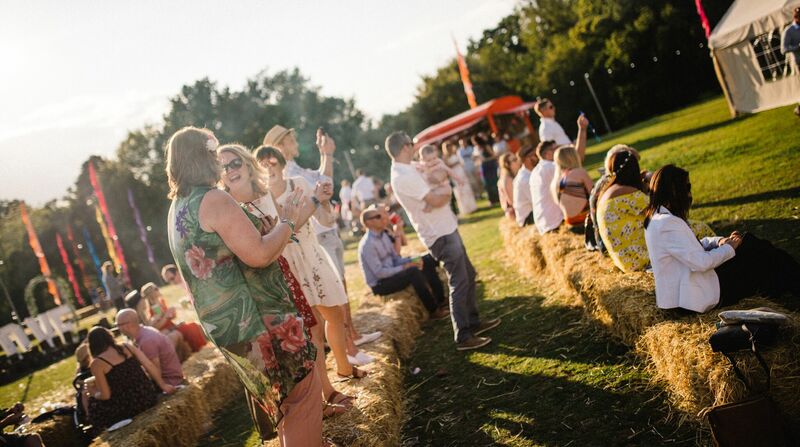 Our team of experienced chefs and bartenders will provide expert and friendly service for your guests throughout that day and our event runners will be on hand to assist with hospitality and litter collection on the day. Ssshhhh we’ll even provide a clean up crew for the day after so you’ll have nothing to worry about when it comes to returning the land exactly as it was found. Meet Lauren, the newest member of our team! 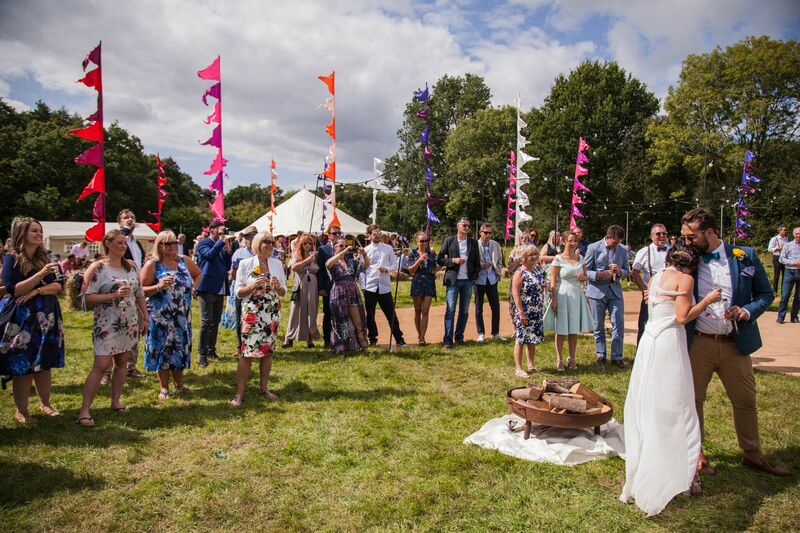 The Wedding Festival Company have built up a portfolio of hand-picked venues across the UK all perfect for hosting a festival wedding. 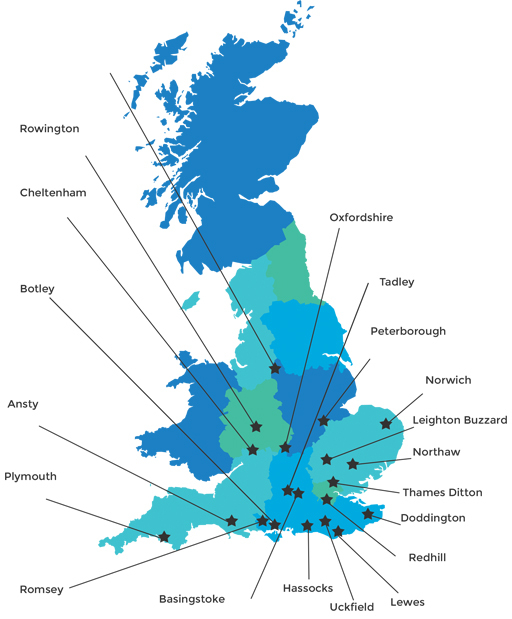 We have exclusive rights over many of these venues and work very closely with the landowners before and after your event to continually improve the sites facilities and ensure that footprints and memories are all we leave behind. 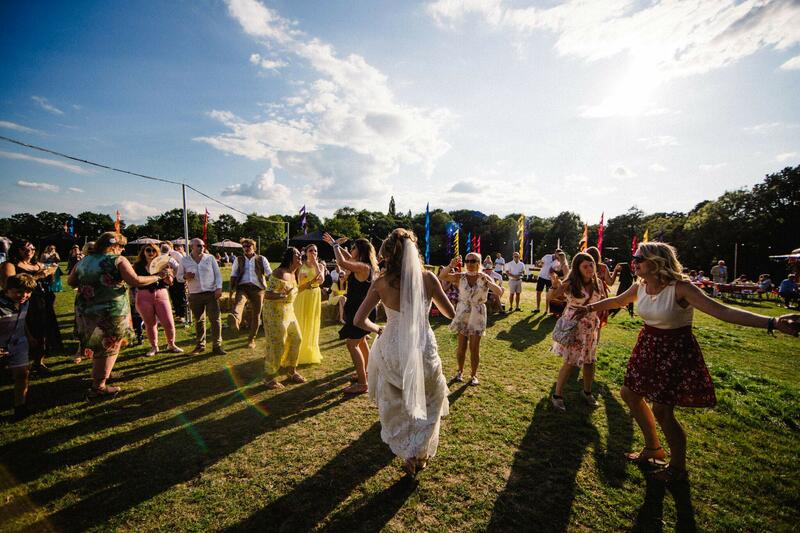 Keep up to date with everything in our Festival Wedding world via our blog below. This company has single handily revolutionised the way business is done in this country. Never have I seen such excellent attention to detail. SJ, Rowan and the team are constantly waiting hand on foot for their customers 24/7 to pull off the impossible for these events. They've created something truly special here which is so tough to find anywhere else - ORIGINALITY. This company has loyalty, creativeness and dedication supreme. My recommendation couldn't not be seated any higher. My partner and I got married a few weeks ago. SJ and Rowan you were fantastic from the very first moment we met, until the very end and your team worked so hard and nothing was too much trouble. From the hay bales to the food and the incredible site it was mind blowing and everything my partner and I wanted. So a massive thankyou from us. This company is going places…. 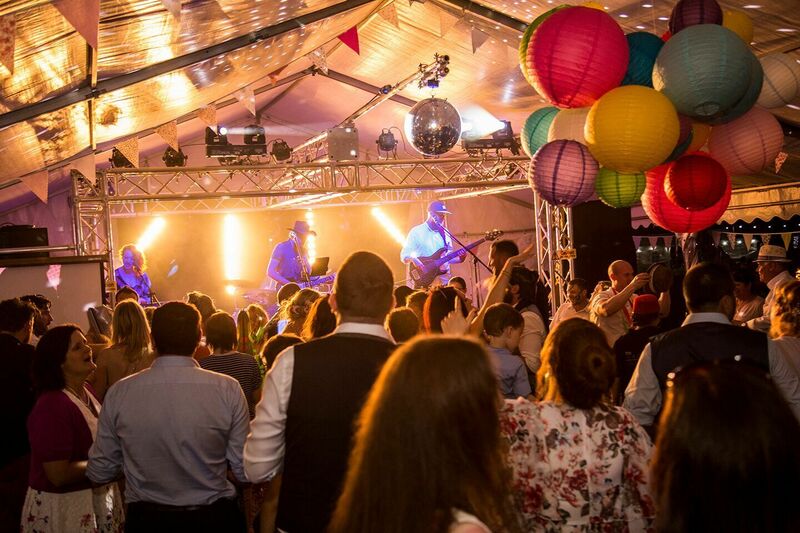 I do Festivals organised our daughter’s wedding near to Romsey last weekend 30/5 to 2/617 and it was brilliant! From the moment we arrived on site Friday until the end it was superb. The site looked magical with bands and singer's throughout. The quality of the entertainers was very good. It was all far better than my expectations. We were also extremely lucky with the weather which topped off the event. Worth a separate mention is that from the great welcome by SJ herself, the staff were so friendly and helpful. Nothing was too much trouble and they were very attentive. I cannot thank you all enough! The wedding was perfect. WOOLSTOCK 2017 QUITE SIMPLY ROCKED - these guys made our three day festival wedding weekend absolutely incredible....we are still buzzing, was just an insane and mad few days. Our guests are broken, but in the best way possible!! Go hard or go home - we all went hard, but we did NOT want to go home!! Couldn't speak more highly of TWFC, the team worked their socks off to make our wedding festival weekend one to remember forever. 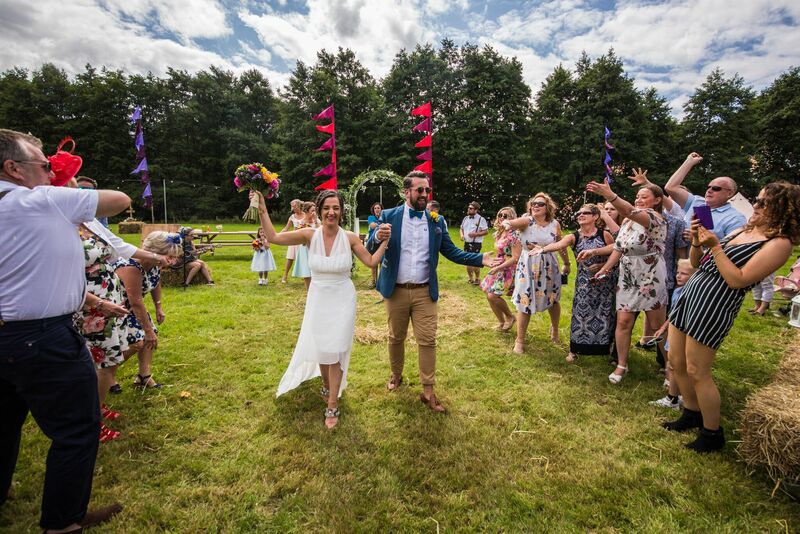 Last weekend our son Angus and Sinead had their festival wedding and it was amazing. I would like to thank SJ and her team for making the wedding such a memorable occasion. The organisation of this event was superb, every detail was thought out, the staff were polite and helpful and the venue was perfect. Thank you SJ for everything and good luck with all you do. You guys are quite simply wonderful. A HUGE thank you to SJ (legend) and team for putting on such an incredible festival for our wedding. It was even better than I had imagined. Everything was perfect. We had the best time and it's a day that Sinead and I will cherish for ever. If you're looking to have a wedding like this then look no further. They are brilliant! Two weeks later and I've still got post wedding blues. We had the BEST DAY EVER! Are you unimpressed with the standard weddings that are forgotten the next week? If you want to create a truly unique experience that will enchant your guests you’ve come to the right place! 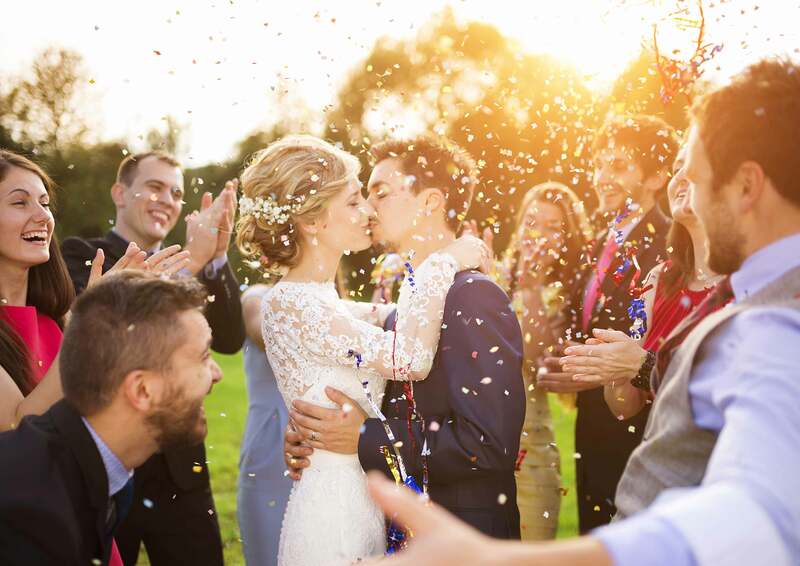 The Wedding Festival Company will help create a tailor made, unforgettable experience that will reflect your personality and dreams on a very special day. AMAZING!!! I attended my friend’s mums wedding, the whole thing was so professional and well organised! A truly unique experience - I love watching this company go from strength to strength and I am so excited to see what the future holds. I need to be in that Bollybar!! Probably the most incredible, fun and memorable wedding I have ever been to and (providing I don't go to another) will ever go to. Honestly one of the best experiences I've had working at a wedding. As a Videographer, we often get overlooked and forgotten about by venues and their staff but nothing was too much trouble for SJ and her team who beavered away at their jobs with smiles on their faces. The site looked AMAZING and everyone had a fantastic time. THIS IS THE WAY FESTIVAL WEDDINGS SHOULD BE RUN!! Do you want a standard wedding or do you want something different, that friends and family will talk about for years to come, a beautiful and unique celebration that is truly yours forever? 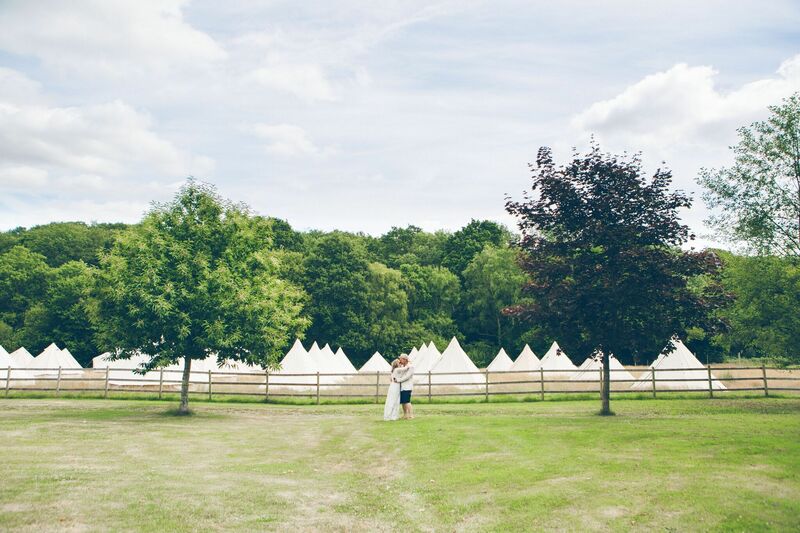 In conjunction with luxury outdoors caterers The Swine Waiter, we have developed a luxury package for those seeking a more formal approach to their marquee wedding reception. 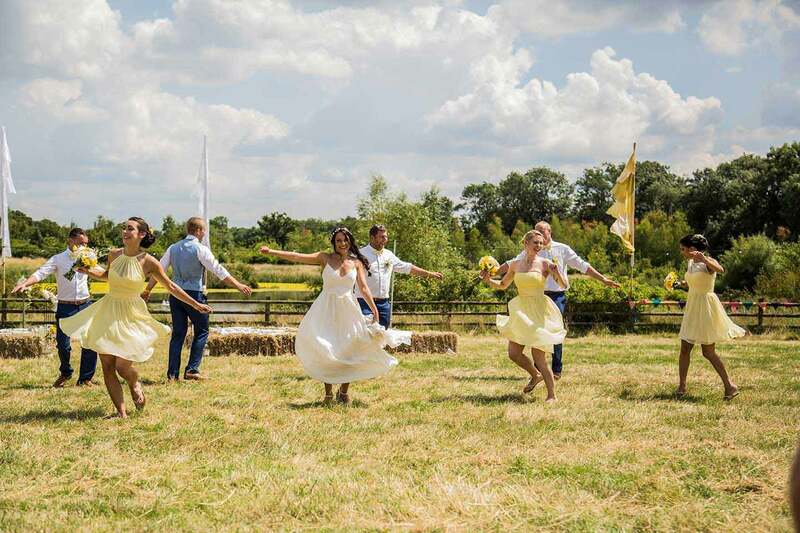 Bringing the elegance of a stately home wedding into the boundless beauty of the English countryside, The Simply Outdoors package provides a fully-inclusive solution for couples wishing to organising their own boutique outdoors wedding reception celebration.